Go to that site in Ploi and open up the 'manage' tab. 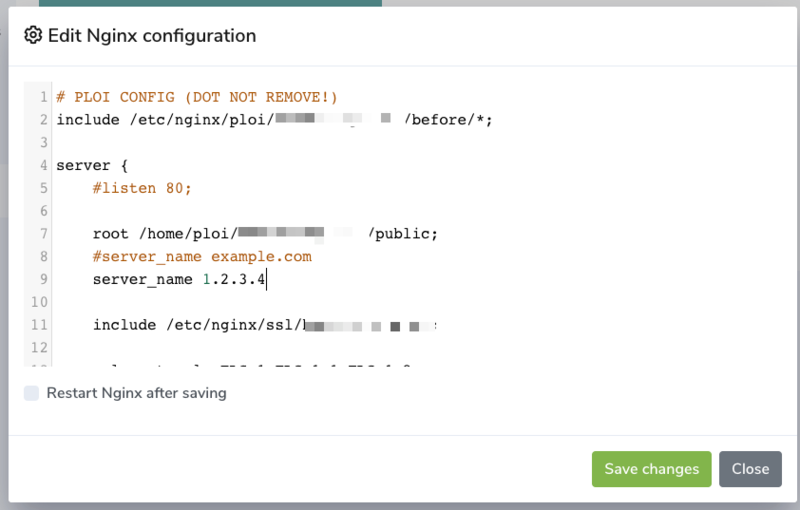 Make sure you restart or reload NGINX after saving (you can use the checkbox) so changes come through. Now when you visit your server's IP address in your browser you will see this site. 10 March 2019How do I make my domain listen under "www. "?